When you are experiencing symptoms or health problems, it is often necessary to consult with a specialist who can accurately diagnose and treat the underlying condition. A neurologist is one such doctor, who specializes in neurology, an area of medicine concentrated on the study and treatment of disorders of the nervous system. The nervous system encompasses the brain, spinal cord, and nerves, all of which are essential for the proper functioning of activities within the body. When an issue arises in the nervous system, the results can be widespread and highly variable, affecting different regions of the body and specific bodily functions. Neurologists are tasked with identifying the source of nervous system problems and taking appropriate actions to treat such conditions. Unfortunately, neurologists can fail to uphold the necessary standard of care in these situations, spelling severe and often permanent repercussions for their patients. When this tragic scenario occurs, victims have the right to pursue compensation through medical malpractice litigation. Fronzuto Law Group is a team of highly experienced New Jersey medical malpractice attorneys who concentrate on negligence cases involving physicians, specialists, nurses, and other medical professionals, as well as hospitals and medical facilities. With over 75 years of combined experience, under respected legal authority and Certified New Jersey Supreme Court Civil Trial Attorney Ernest P. Fronzuto, we have the knowledge and resources to tackle the most complex medical malpractice cases on behalf of victims across the state. When we become involved in your case, we thoroughly investigate every aspect, understanding the legal and medical nuances, and consulting with leading medical experts to construct the most compelling case on your behalf. In addition, we provide personalized client service and attention because we know how difficult and overwhelming this time can be for you and your family. If you believe you may have grounds for a medical malpractice claim against a neurologist, contact our North Jersey offices at (973)-435-4551 to discuss your case and receive a cost-free consultation. 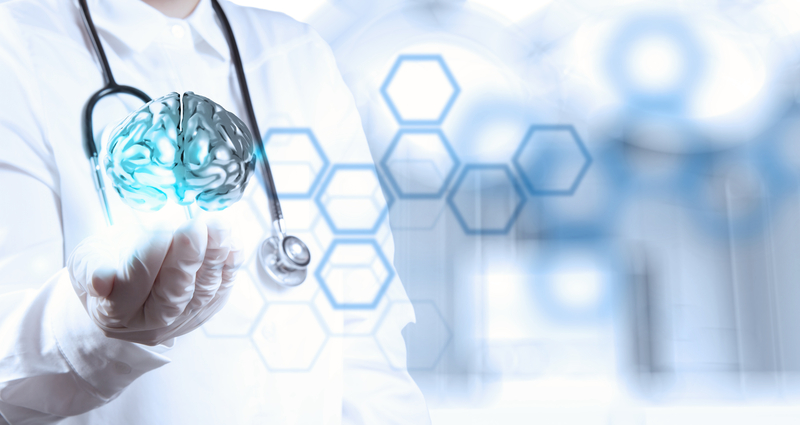 Neurologists are medical doctors who examine, diagnose, and treat nervous system conditions. The nervous system is arguably the most complex system of the body, as it is responsible for regulating a vast array of bodily functions. The nervous system is comprised of two distinct parts: the central nervous system, which includes the brain and spinal cord; and the peripheral nervous system, which includes nerves and sensory organs such as the skin, eyes, and ears. In order to diagnose a neurological condition, neurologists have a broad range of highly sophisticated diagnostic tools at their disposal. First and foremost, neurologists may perform physical examinations to assess reflexes, muscular strength, mobility, balance, sensation, cognition, and memory. Diagnostic tests such as: magnetic resonance imaging (MRI), Brainstem Auditory Evoked Response (to test hearing), cerebral angiography, electroencephalogram (EEG), computed tomography (CT or CAT scan), lumbar puncture, and positron emission tomography (PET) scans may also be used to diagnose a nervous system disorder. Notably, neurologists do not perform surgery. If a patient is in need of surgery, a neurologist will refer him or her to a neurosurgeon, who will perform the procedure. Neurologists and neurosurgeons can be found negligent if they make errors or fail to uphold the standard of care during diagnosis, treatment, surgery, or postoperative care. In some cases, third parties are also found negligent for their conduct during the treatment process. For instance, a radiologist who inaccurately reads a diagnostic test result or fails to communicate these results to the neurologist or neurosurgeon, may be held partially liable. If you or someone you love suffered harm as a result of neurologist or neurosurgeon malpractice in New Jersey, the medical malpractice attorneys at Fronzuto Law Group are here to help you. Simply contact our offices in Passaic County today at 973-435-4551 or reach us toll-free at 888-409-0816. One of our highly knowledgeable NJ medical negligence lawyers will answer your questions with a cost-free consultation.